All airport shuttle buses have free wi-fi service onboard so you can check your e-mail and contact family and friends as soon as you arrive in Japan. 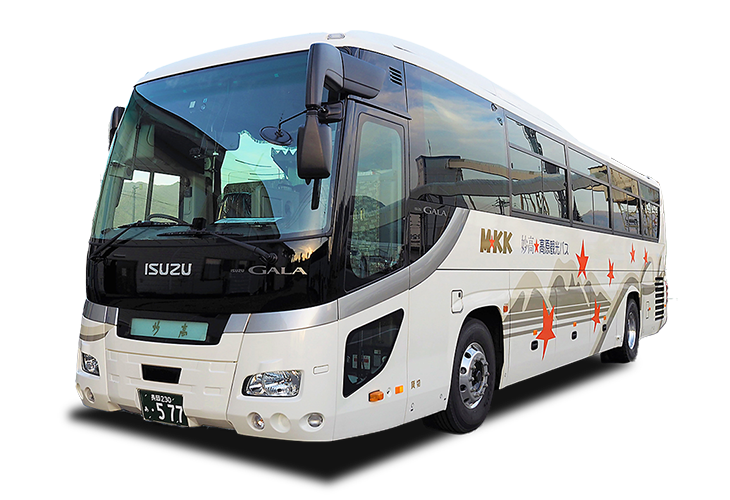 Our airport shuttle buses are all new so you can ride to Myoko in the upmost comfort and safety. Our service is great value, making us the most affordable way to get directly to Myoko from the airport. We put your safety first. We run modern buses that meet the highest safety standards. We are a fully licenced bus service provider. Our service and help lines are operated by native English speakers. You can reach us by phone, mail or facebook at any time. We offer the best and most convenient way to get to Myoko Kogen. We pick you up directly from your airport and bring you and your luggage straight to Myoko. No hassle involved. So, matter where you are staying Myoko Shuttle can get you direct to your resort area. This really is the easiest most hassle-free way to get to Myoko! We have updated the Narita service timetable. Buses now match up with evening Jetstar flights. We have now added new local services that run to Nozawa Onsen & the Snow Monkey Park. Booking is now open for all airport services. We are currently running services direct from Narita, Haneda, Toyama & Niigata airports. This is the easiest way to get to Myoko ski resorts from Narita Airport. We were picked up on time from the airport and taken directly to Akakura, Myoko. Our driver was lovely and made sure we had stops on the way so we could have lunch, toilet breaks etc. The bus has plenty of room to stretch out and sleep on the journey. We arrived early to Akakura and our driver kindly rang our accommodation so they could come and pick us up. A really convenient and easy way to get from Haneda to Akakura Onsen. Great directions from the team on how and where to meet the driver at Haneda. Was just the two of us in the 25+ seater shuttle. A couple of great pit stops along the way to get local delicacies or use the loo on the 5 hour ride through the country-side. Our driver was excellent and extremely friendly; I forgot my water bottle on the shuttle and they brought it to me the next day. Recommend them!